We've just rolled out several search improvements to help you find the videos you want to see quickly and easily. 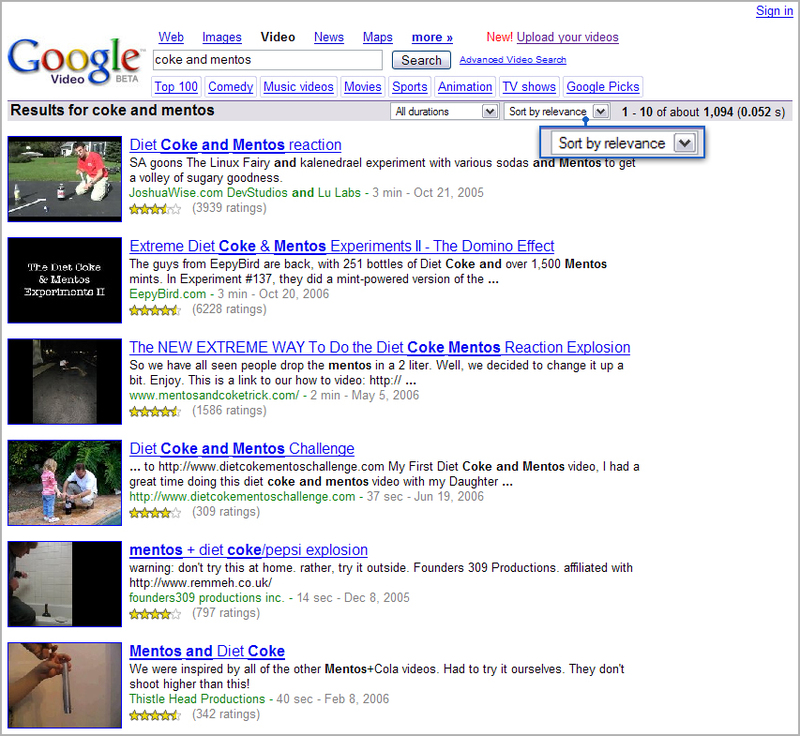 Let's say you're searching for mentos and diet coke videos and you want to see those with the highest ratings. Just select "sort by rating" from the drop down menu, and presto! - now the results are sorted so you can easily see the highest rated videos from your search. 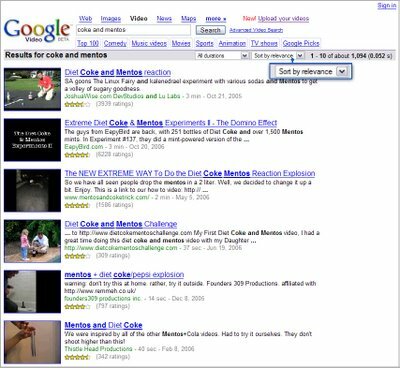 When ranking the results by rating, we take into account a bunch of different factors such as relevance to your query, rating of the video, popularity and more. Another new search improvement is the ability to search within a label. Let's say you want to find all the videos of Zidane labeled as [soccer] . No problem! Search for [label: soccer zidane], and we'll show you all the Zidane videos that also have the label "soccer". Now get going on your must-see list!